Just as you will create a budget for purchasing gifts, it’s important to set limits on how many holiday treats you will consume. This is vital to your dental health given that most of the foods eaten during this time of the year are high in sugar. The problem with the latter is that it is the food of choice of bacteria. So the more sugar you consume, the more bacteria accumulation you can expect, which can spell rapid tooth decay. You can use your food budget to set parameters for how many servings of an item you will eat and to determine when you will stop eating those types of foods each day. Even if with a food budget, you still need a way to remove the leftover particles of the food you eat. That’s where your oral hygiene comes in. The best scenario is to brush and floss your teeth after every meal. If that isn’t possible, then you should be sure to at least perform both activities twice a day to remove unwanted debris from your mouth. Along with performing excellent oral hygiene, there are subtle things you can do to protect your teeth. One of them is to drink plenty of water. It helps to bathe your teeth and aid in removing the particles that remain in your mouth after eating a meal. This is especially important to remember at the times when you can’t immediately brush and floss. Another way to rinse the mouth after a meal is to use mouthwash. The rinsing action helps to free some of the particles that cling to your teeth and in other parts of your mouth after a meal. Keep in mind, though, mouthwash is not a sufficient substitute for brushing and flossing your teeth. However, it does offer a convenient way to perform some preliminary cleaning. The holiday season is an excellent time to visit your dentist for preventive care. 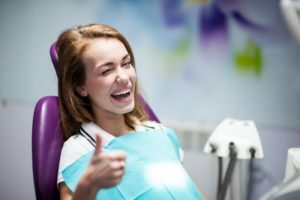 Thus, you can have your teeth examined and receive a professional cleaning that will leave you with a beautiful and healthy smile. So to make this holiday season as productive as it is fun, contact your local dentist to schedule a check-up today! A graduate of the NYU College of Dentistry, Dr. Jay Oza has been practicing dentistry for the past six years. Throughout his career, he has taken a methodical and compassionate approach to providing care so that patients can enjoy the best in oral health. Dr. Oza provides holiday oral care at Marvel Dental, and he can be reached for more information through his website.